Challenge: Can you create the following graph? Rules: You may not repeat any previous answer. Posted in: advanced, basic, linear. And it is! Can you come up with a different function that has the same graph? Ok, here’s my second answer! y=2(1/2(x)-1/2) + 1. Not very creative, but definitely not the same as y=x. -pi/4<t<pi/4 (one period) but since Desmos doesn't allow pi for t I chose -.8<=t<=.8 (covers slightly more than one full period). Would that create holes at x = (2n+1)(pi/2), for n integer? Gauntlet thrown down! calculus, statistics, summation, PI notation, taylor series, etc. Nothing like a little differentiation and trig substitution! 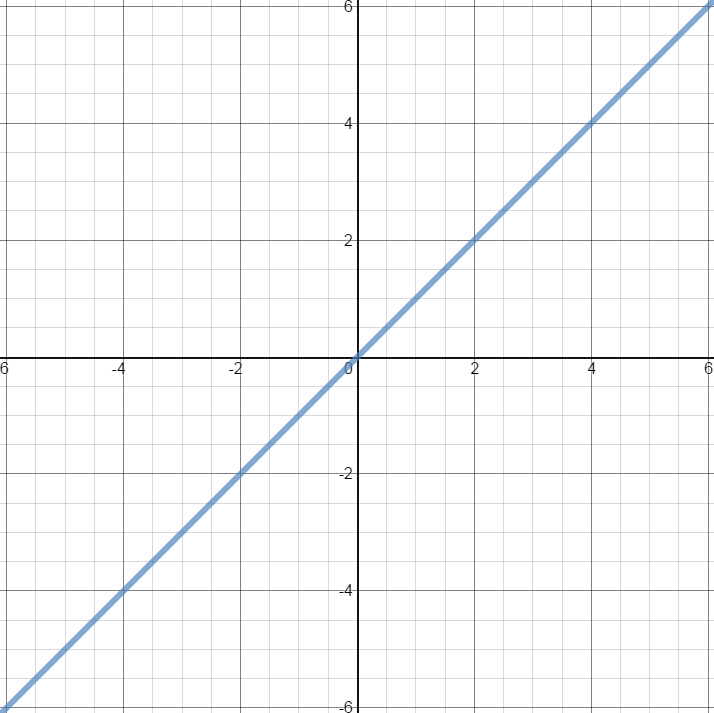 Obfuscated y=x, I took the graph of the normal curve, shifted it right, reduced the standard deviation, took the derivative of the curve and found the equation for the line tangent to the curve at the point below. I think it works. No doubt it is y=x …perfect! Would that yield a removable discontinuity at (0,0)?